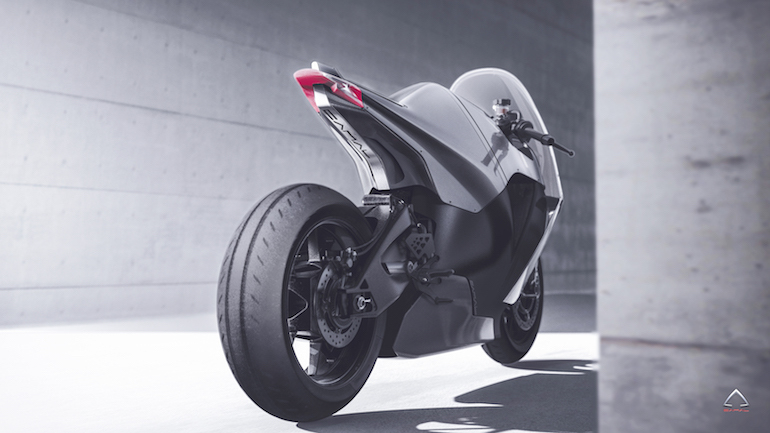 One of the famous Italian industrial design studios named Camal has recently created an electrical sports motorcycle concept. 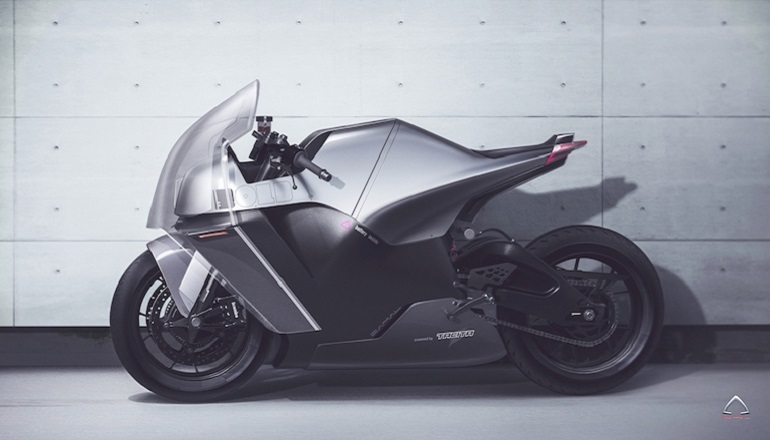 The company claimed that the motorcycle called BOLD, only takes 30 minutes to recharge up to 80 percent of the battery's capacity. 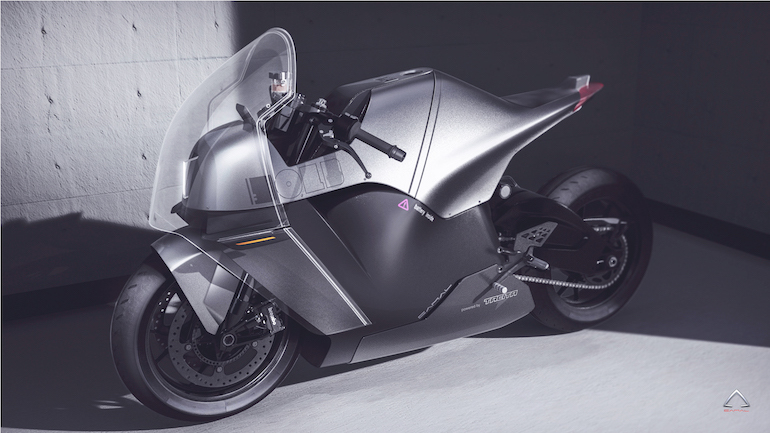 Camal made a collaboration with its compatriots which is an electric motorcycle manufacturer named Tacita to make this BOLD into reality. This bike itself is built using the chassis of a BMW motorcycle, but they not say which model exactly. It completed with Brembo brake device, upside-down fork and fierce bodywork design makes the BOLD character becoming more sporty. Its electric motors grafted with the 5-speed gear-box made by Tacita. Although this technology tend to be 'traditional', but they intend to avoid overheating and made the power consumption more efficient. By using a battery powered 10.6 Kwh, the BOLD capable of producing the power equivalent of 100 hp with a torque of 115 ft-lb. Not surprisingly, the BOLD is often also referred to as the supersport because of its ability to achieve an acceleration of 0-100 km/h in just 2.9 seconds. As mentioned in the English version of the company's press realese, when its battery's full the bike could be achieve a range of 100 km (60 miles) at the speeds expected of a sports motorcycle. For the most part, however, the BOLD concept appears to be a styling exercise, with most of the press release focusing on aspects such as two-tone paint, plexiglass front fairing and an aluminum tank space that aids in an "aerodynamic fusion between man and the vehicle." 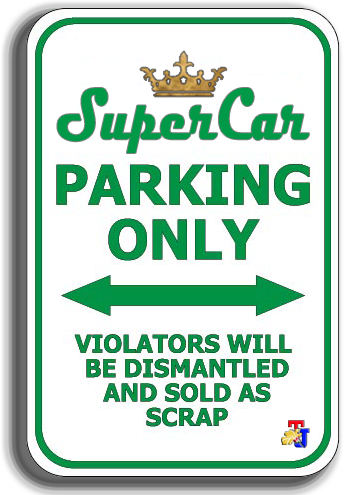 So don't expect to see it showing up in anyone's garage anytime soon.